I know Jess has already ‘introduced’ Black Betty but I thought it was time to do it properly…. i.e. Blokey-ly…. No disrespect to Karen Camper, living in her during our big trip was very comfortable, but there were times when we faced a decision whether to take a certain road or not, based on if we felt Karen would make it. Jess and I do not like being limited like that, if we want to go somewhere or do something, then nothing is stopping us. 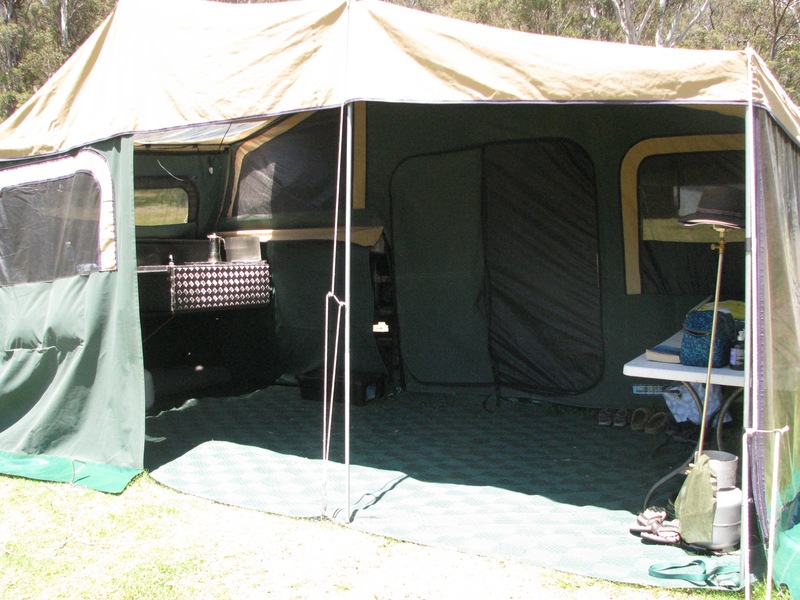 ATC were created by a husband and wife team in Sydney with the desire to build an “indestructible” camper for their regular trips to the Cape, whilst retaining some creature comforts and practical tent design. What they built was a balance of Blokey toughness and female influence, for us, it ticked every box. 1. Easy 10min setup where we can (all 6 of us) be inside, dry and bedding set up. 3. Option to expand the tent area for longer stays. We narrowed the field to 2, Cameron Campers and ATC’s. The Camerons come from SA and the ATC’s from Sydney, so it was difficult to find anything local-ish. 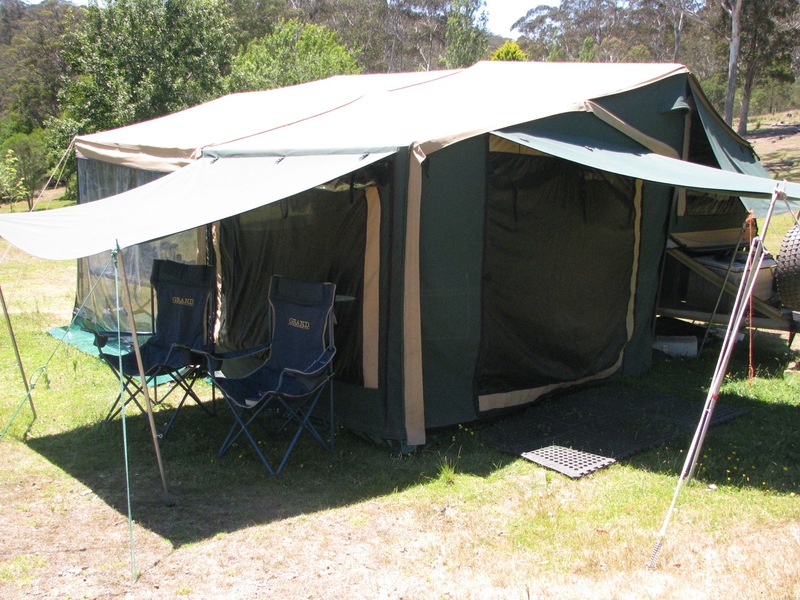 I trawled every camper trailer sales resource for about 6 months without luck, until one night I was looking at the very informative http://www.campertrailers.org for something unrelated and I noticed they have a classifieds page, it was here that I found BB in Laura of all places! The previous owners happened to come to Mareeba to do their shopping once a month and offered to bring it down and set it up for us, we knew the minute we saw her, this was the one. Sure, she has seen some miles, cosmetically she looks like a pack-a-day smoking alcoholic vs some of the supermodel “never been off road/hardly used” campers out there, but she ticked our boxes and she was clearly well used. Much like how I advertised Karen as “well loved and time proven”, we knew any kinks in BB were well and truly ironed out by now. I liked the fact that she was bog standard as well because it allowed me to do the ‘necessary’ upgrades myself, how we want them. I will do another post about the changes we have done to date to get Black Betty road ready. What do you reckon? 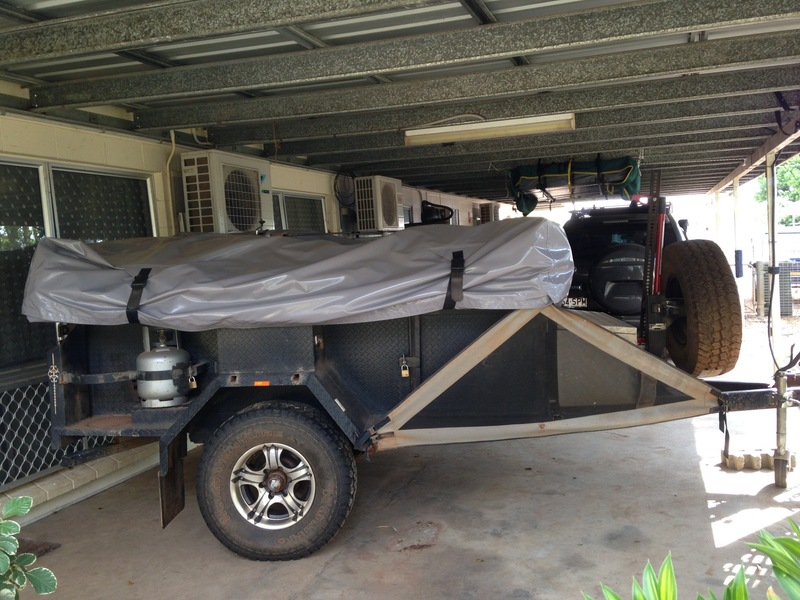 Anybody else out there with a camper trailer? Love it or hate it? Congratulations on the new acquisition, Matt; looking forward to reading about your trip to Lawn Hill, and to many other adventures in Black Betty!